Today is the 4th of July, a day when we commemorate the signing of the Declaration of Independence…as well as pools and hotdogs (hey — we can do both!). And one of the day’s biggest traditions is Macy’s 4th of July fireworks display. But if you’re not in New York — and you don’t have a TV — how can you watch the sparks fly over the city’s East River? We’ve got all the details! This year marks the 42nd annual Macy’s 4th of July fireworks show, which calls itself the largest Independence Day fireworks display in the nation. Roughly three million live spectators and 12 million TV viewers are expected to watch the display unfold, according to Macy’s. The event will feature performances from the West Point Band and Glee Club. Singers Kelly Clarkson, Blake Shelton, Keith Urban, and Ricky Martin are also part of the entertainment lineup. The fireworks display kicks off at around 9:25 p.m. 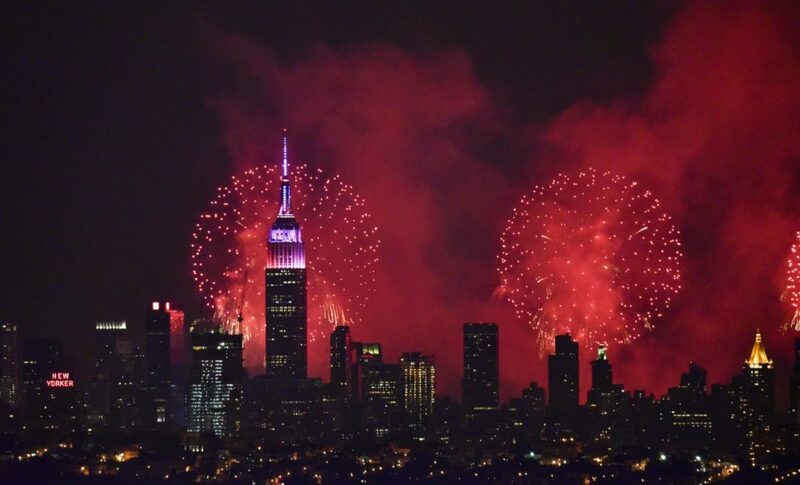 ET, but Macy’s 4th of July Fireworks Spectacular begins airing on NBC a little earlier, at 8 p.m.
Here’s how to catch Macy’s 4th of July Fireworks Spectacular without a TV. Streaming the show is your best bet. You can stream the celebration via NBC’s official app or the NBC Live website; however, both options require a cable subscription. If you don’t have a TV, chances are you don’t have a cable subscription, either. In that case, you can watch a livestream of the show via streaming services like Sling TV, Hulu Live, or DirectTV Now. Whether you’re watching the sky light up in person, at home, or on your mobile device, remember to stay safe this 4th of July. Wear sunscreen, keep fireworks away from small children, and practice safe grilling at your backyard barbecue.